Continuing its strategy to introduce up-and-coming talent to endurance racing and the European Le Mans Series, the Murphy Prototypes endurance racing team welcomes another new name to its fold for this weekend’s 4 Hours of Spa-Francorchamps: Bruno Bonifacio. The Brazilian driver will join the UK’s Garry Findlay – who drove for the team in round two at Imola – and Irishman Seán Doyle, who has driven in all of the season’s previous four rounds. The fifth round of the European Le Mans Series represents a new event in its calendar, the visit to the infamous Belgium circuit pushing the total number of rounds up to six for this season. And while the Paul Ricard Circuit that hosted last month’s round four is a regular haunt for the ELMS, Spa will provide a new challenge for many of the teams and drivers on the grid. This weekend sees the Sao Paulo-born 21-year-old make his Murphy Prototypes, European Le Mans Series and LMP2 debut. Currently contesting the Renault Sport Trophy – a one-make sportscar series that forms part of the ELMS programme of events at each of the meetings – Bonifacio raced single-seaters previously. His experience includes Formula 3 in Brazil, the Italian and European Formula Abarth Series’, the New Zealand Toyota Series and, more recently, Formula Renault 2.0 and 3.5. Having made his first appearance with Murphy Prototypes at Imola in May, Findlay is delighted to return for his second outing with the team. The 26-year-old from Norfolk has previously shown his potential as a front-running prototype driver in VdeV sportscars. He admits that, although his last visit to Spa was in 2008 when he raced a Formula Ford, he remembers the circuit well and is relishing the prospect of competing there in an LMP2 machine. 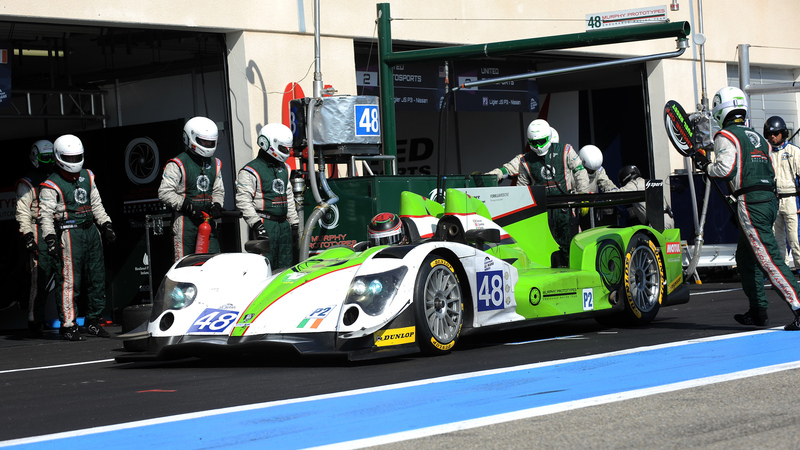 Wicklow-based Doyle debuted for the team in the first round of the ELMS at Silverstone in April. Since then, his driving has shown maturity above his 22 years as he has regularly set lap times that are commensurate to competitors that have been racing at this level for longer. Although having never driven at Spa before, his ability to learn new circuits quickly means he is looking forward to the challenge, especially as the circuit has a reputation of being one of the toughest yet most enjoyable at which to compete. The three drivers will share the wheel of the team’s #48 Nissan-powered LMP2 Oreca 03R. The Spa circuit is located in the Belgium principality of Stavelot, between the towns of Francorchamps and Malmedy. A lap of the circuit measures 7.004 kilometres (4.352 miles). The ELMS action begins on Friday afternoon with 90-minutes Free Practice session, followed by a further 90-minutes of Free Practice on Saturday morning. The 10-minute qualifying session takes place at 14.09, with the four-hour race scheduled to start at 14.00 on Sunday. All times are CEST.